Tart blueberries nestled underneath a sweet brown sugar and oats crumble. 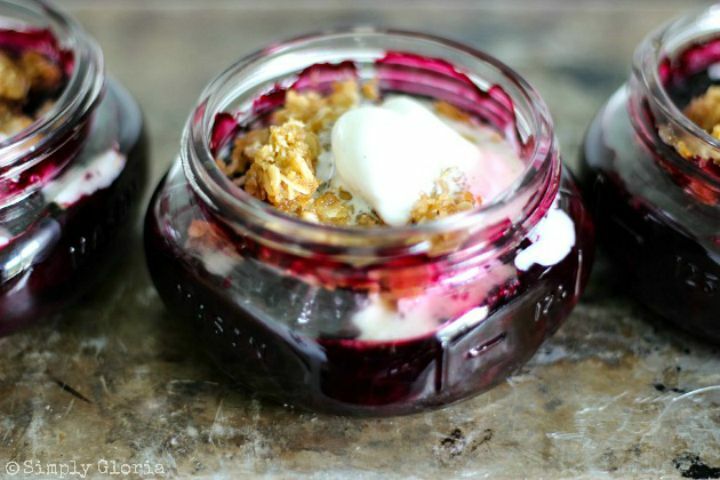 Baked in mini wide mouth jars that are perfect for individual servings! 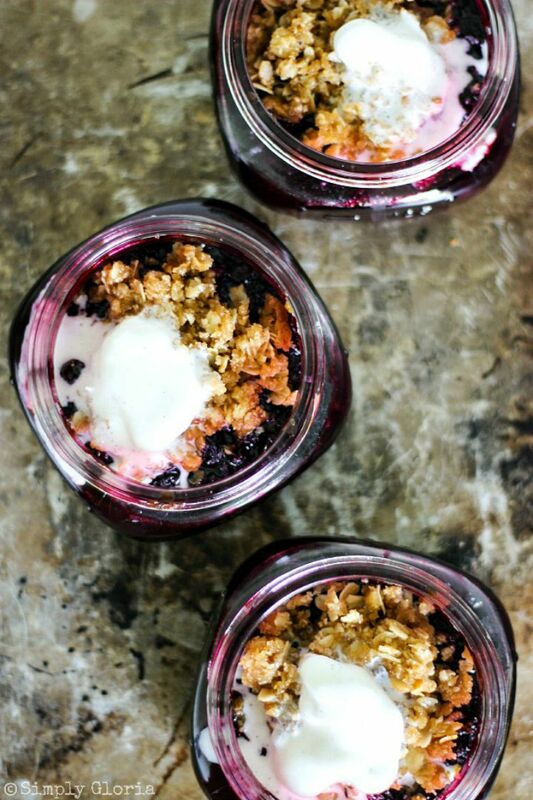 Blueberry Crumble that’s been baked in a jar and topped with cold vanilla ice cream is THE perfect dessert. Not only the perfect dessert to devour. But it’s all baked and served in little jars! Unless you’re going to eat all of these in one sitting (like the hubster did! ), you can store these at room temperature with the lids on. You can make this any time of the year and use fresh or frozen berries. Yay! 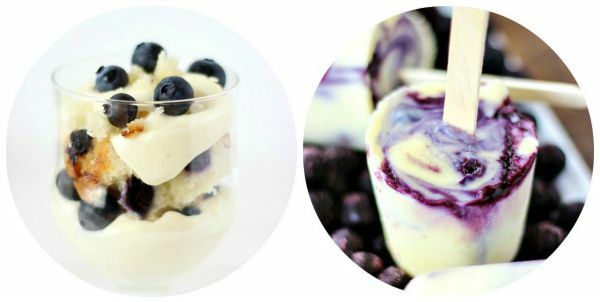 These truly are the best, quick and easy little treats to make… and devour! I made this for my friend, Claire over at A Little Claireification. Head over to say hello and grab this delicious (and did I mention, EASY! 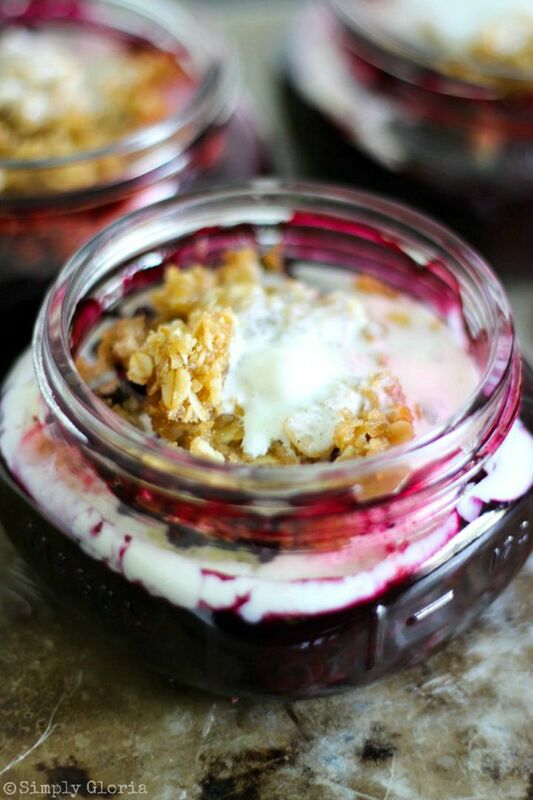 )..Blueberry Crumble baked in a jar! C’mon, spill the beans. Where have you been for 4 months. We missed you and want to catch up. I love crumbles! Such a good idea to make them in jars. Single serving treats are the best!